Sita sud srl serves the connection Naples Salerno by several direct lines. 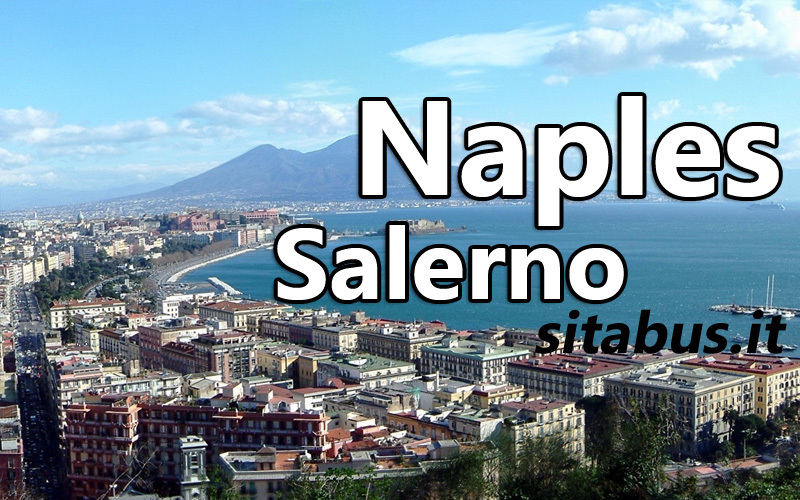 For bus lines Naples Salerno is valid the Unico Costiera tariff system. If the Amalfi Coast is the destination of your trip, you can find specific information in the following tab: Amalfi Coast. Here you can find information about Naples Airport Capodichino – Salerno. Timetables may change before 18 April. To reach Ravello from Salerno you need to change bus in Amalfi. The bus stop in Ravello is just outside the tunnel which connects the main road to Piazza Duomo. Is there a more to date timetable for Naples to Pompeii and back again or is the 2015 timetable the latest. I want to get 7.30 or 8am bus, is this from outside the cruise port opposite road of molo immacolatella. What is the number of the bus?